Preheat oven to 180°c or Gas Mark 4 and line a muffin tin with 4 paper cases. In a bowl whisk the eggs and seasoning together. crispy. Allow to cool slightly. And chop or crumble the bacon. Add the bacon and onion to the egg mix. Beat well and divide between the 4 muffin cases. Bake in the oven for 10-15 minutes until firm. 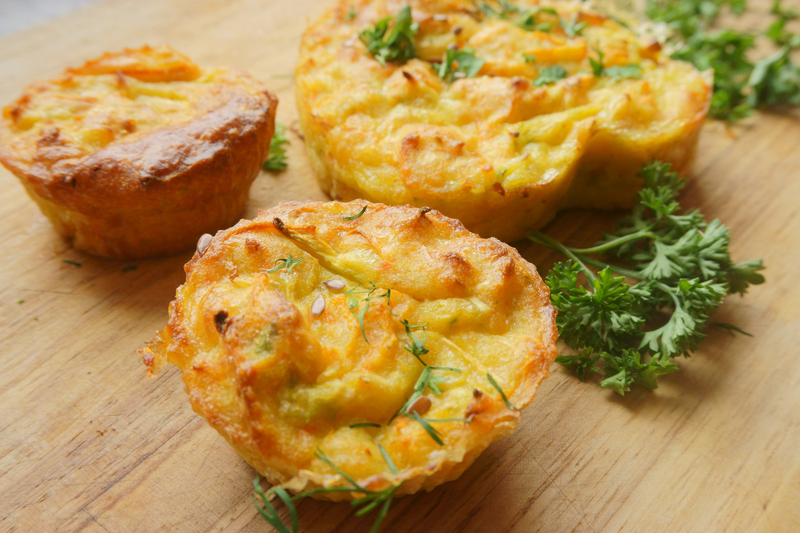 These savoury muffins can be eaten chilled and taken to work in lunchboxes also.